You want your new team members to be excited to start at your company and to feel like part of the team from day one. Send them a package in the post to welcome them on board. 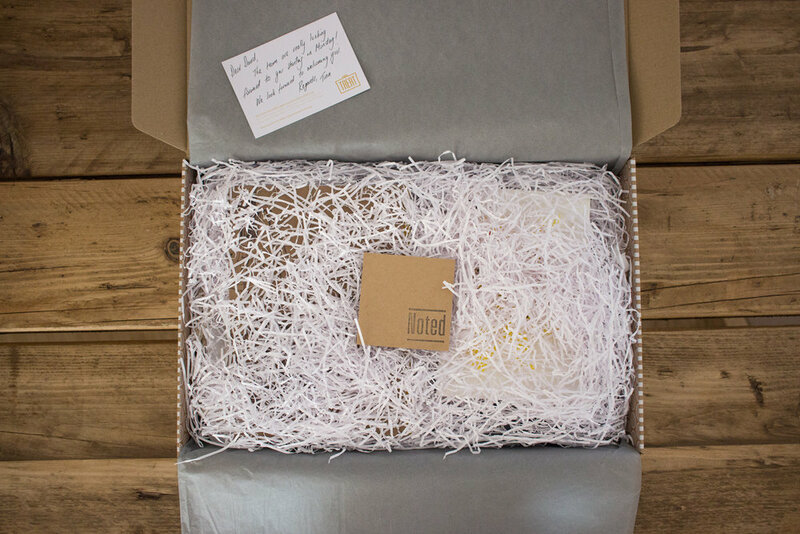 We offer a standard Welcome, and Deluxe Welcome Treat – both boxes will fit through a reasonably-sized letter box. The contents are beautifully designed in collaboration with Naomi Atkinson Design and independent illustrator Shepherd Illustration. Every gift item is chosen to send the recipient a message that they should feel confident and welcome on their first day in the role. And remember all the profits go to Child.org – so you'll be sending your new staff a clear message about your organisation's values and desire to help children across the globe. A voucher code enables the new employee to order a Thank You Treat for one of their new colleagues. The perfect way to thank someone who makes their first day easier! Just £40 to make someone feel special, before their first day. Send a Thank you Treat to a colleague, MD, or CEO – and see what they think.